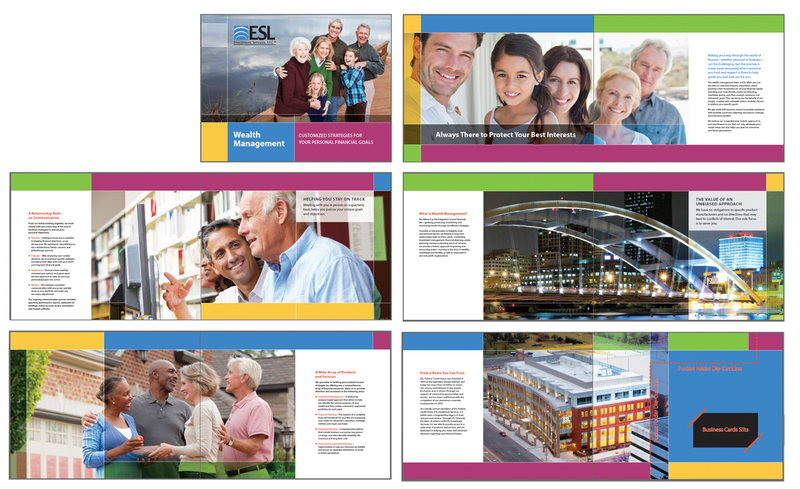 ESL (an LPL advisor) Wealth Management brochure is designed to highlight the ideas of family, education and security. This brochure was designed with the foundation concept of the Mondrian grid. The Mondrian grid creates the colorful rectangular shapes that are coupled with varying levels of opacity to heighten the visual aspects and developing hierarchy. These visual elements also push the positive nature of this brochure producing a friendly look and feel, people will want to read it.